Most probably, panic. Then panic again. “The Cosmos is all that is, or was, or ever will be.” That’s the opening of Carl Sagan’s Cosmos series, and of a book that has the same title. A few years ago, when I felt really stuck, this book opened my eyes to a whole Universe of wonder. For the first time in years I felt the same awe and excitement as a kid discovering how the world works. I’m not sure how I lost it in the first place, but public education and peer pressure could have something to do with that. Carl’s Cosmos showed me how incredibly beautiful, mysterious, and fragile is the place that we live in. Without dedicated attention, this awareness can easily get buried under a pile of breaking news in the Facebook feed. But I couldn’t unsee the wonder all around me, and felt a strong need to share it with the world. This blog came to life as a very rough attempt to do so. That’s why it’s called Made in Cosmos. Can the sense of wonder survive as a kid grows up? Meditating on this question, I had this great idea in the back of my mind. I should start an online portal for kids, about science, and coding, and philosophy, and all the great things in life. There would be interactive articles with rich animations, Q&A about literally everything, peer support groups, and super smart games and puzzles to solve. If there’s any hope for humanity, it’s in teaching kids now, for sure. When I first had this idea, I gave up on it fast. I had a corporate job, nearly no money put aside, and no one passionate enough to work with me on this. Also, I had zero experience writing articles for kids, drawing illustrations or animating them, no formal education in teaching, and terrible management skills. It was ridiculous to think I could ever tackle such project. Still the idea would come back to me over and over again in these rare moments of clarity. It would scare me to death every single time, make me question all of my live choices so far, and leave me broken to pieces for several days. If an idea scares you to death, that’s great. This is how you know it’s one worth pursuing. No wonder my cosmic project for kids felt super scary even to think about it. I had a polished vision of the end result in mind, without the faintest clue what first step would possibly bring me closer to that goal. Every time I pondered upon this question, the only thing that came to my mind was to quit my job – which I didn’t want to do, and so I ended up resigned and helpless. When it comes to Big Scary Stuff, it’s okay not to know what a first step could be. What I learned is that a good enough first step is to do your own thing, and to keep an eye opened on opportunities laying around. There’s always opportunities around, if you’re paying attention. The Cosmos found me co-organising a coding workshop for women. This is where I first heard about a fundraising campaign to kickstart Cosmos for the Girls. They wanted to publish a magazine for girls that would show them a whole Universe of possibilities, while most tell them only how to look. I didn’t know who stood behind this, but I knew these were my kind of people. I decided to reach out and see if I could help. As it turned out, they really needed someone to write about technology for them. The previous person backed off just a few days before. Writing my first article wasn’t an easy process. The impostor syndrome hit me quite hard, as it always does. This blog was my only attempt at writing so far, so who am I to send my article to seasoned journalists and authors? I literally had to trick myself into this, and to do it more than once. Luckily, writing a single article isn’t nearly as scary as starting a whole site from scratch. And I had something most journalists don’t have – years of experience in translating technical stuff into simple terms. I’d never have thought that my experience in customer support would help me write for kids. Turns out it’s pretty much the same thing, only more fun cause you get to choose what you will write about. Fast forward a few months, I have two of my articles published, and another one under review. All 10,000 copies of the first issue were sold out, and we had to reprint it. It feels quite surreal to see my name in a nation-wide magazine, but it never was on my bucket list. All I dreamed of was to share a little piece of the Cosmos with as many kids as I could, and to help them nurture the seed of wonder in their hearts. 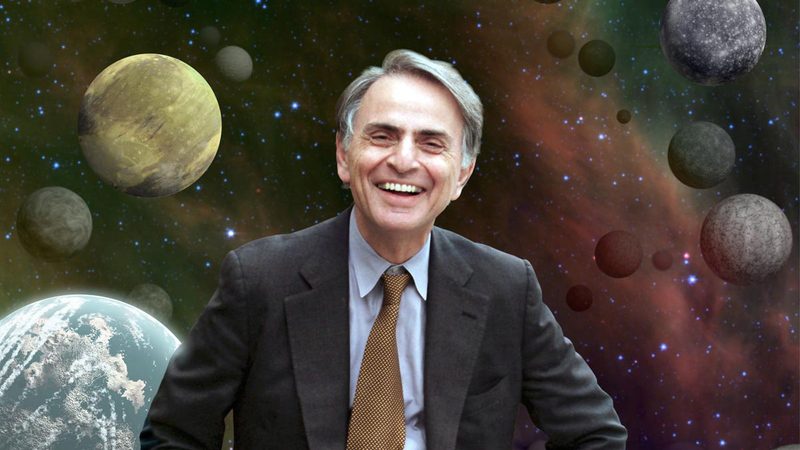 Carl Sagan passed away on this day 21 years ago. I’m not sure if that’s how the Girls of the Cosmos chose this day for the next editorial meeting, but I know his spirit will be with us. He’s with every curious wonderer, no matter how young or how old, who looks up to the sky and asks questions.